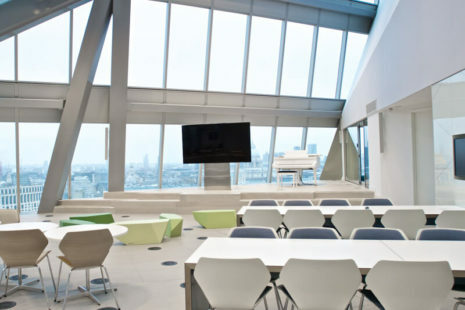 Media giant UBM has a London headquarters on Blackfriars Road that turns heads. 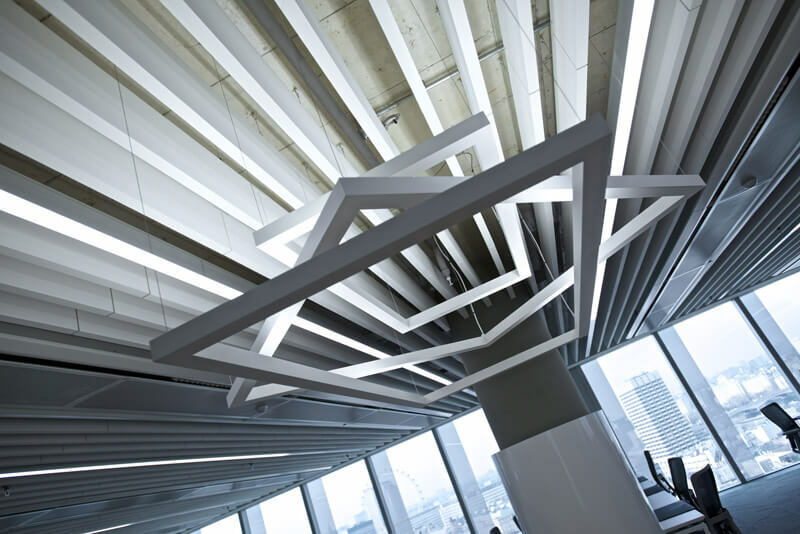 The crystalline parallelogram structure rises 90 metres to take its place on London’s skyline. Seeing the potential of this amazing building, UBM signed a lease agreement for the top nine floors early in the design process. 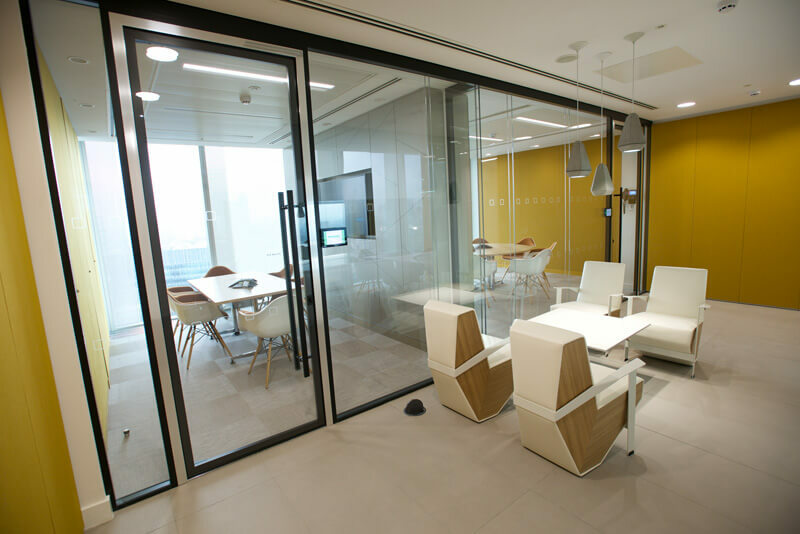 After a rigorous tender process, Swift was appointed to undertake the fit-out of the interior. 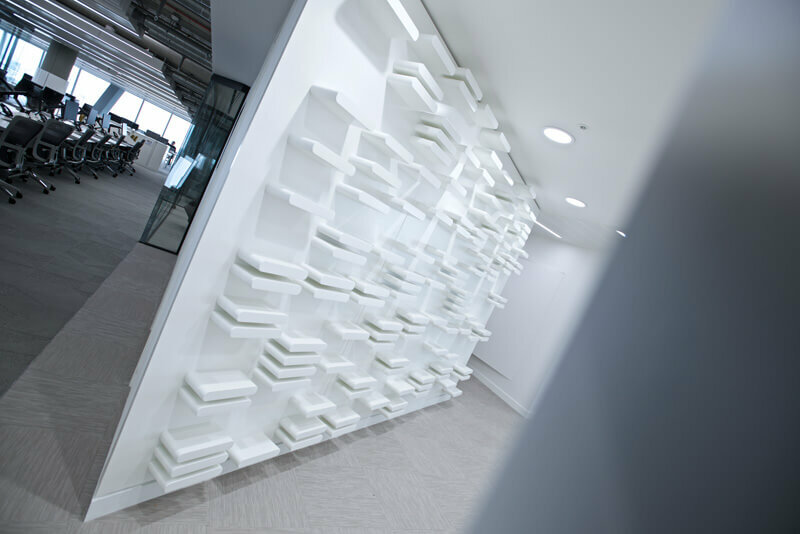 The 11-month project has resulted in office space that combines beautiful design with clever functionality complemented by some delightfully quirky features – all with a top-quality finish. It’s a far cry from soulless office space. The top floor of the building is designed to match the stunning City views. This is, literally, the pinnacle of the building. The triple-height walls rise into the sky to meet the angled glazing while a glass staircase leads to a cantilevered mezzanine ‘cloud deck’. Creating this spectacular space brought its own challenges because every item in the fit-out could only be delivered to its final destination via the goods lift. Each individual item of the staircase and mezzanine deck had to fit inside the lift before assembly at the top of the building. 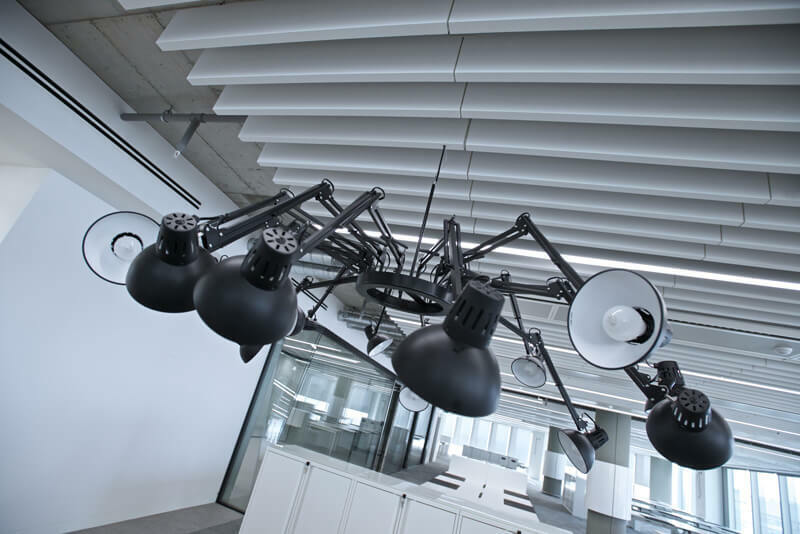 Left to itself, a large volume such as this would bring unbearable heat and noise but this is a space where the ambient temperature and noise are calm and comfortable – and that’s down to great design choices and technical know-how. 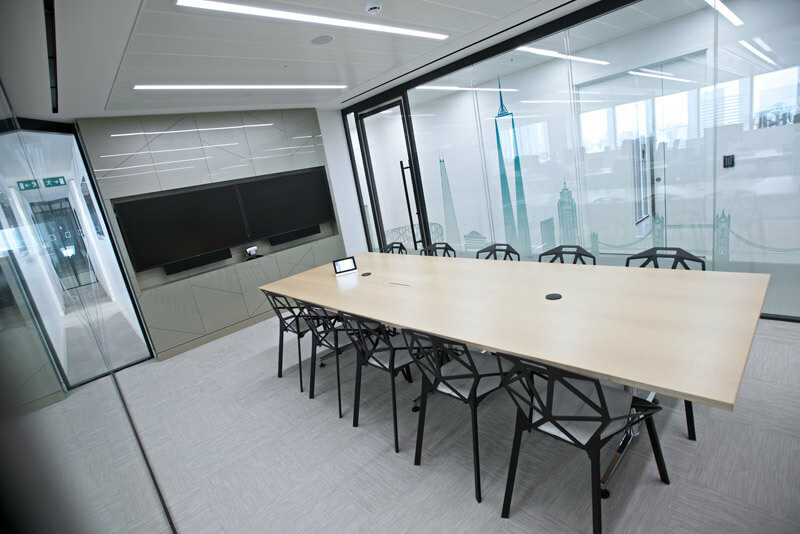 With such a large glazed area, acoustic options were limited but Swift’s solution was to pack more than 340 sq m of sound-absorbent material onto one internal wall – the result is a room that buzzes with energy but where people don’t need to shout to be heard. 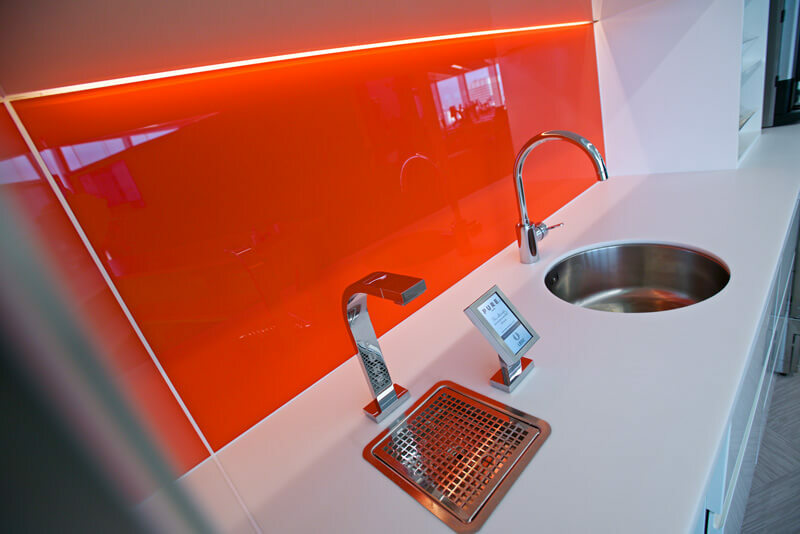 The building is designed to be sustainable but solar glare and heat build-up from the highly efficient glass walls could create an uncomfortable environment without temperature regulation. However, an under-floor cooling system keeps the space at the optimum ambient temperature – whatever the weather outside. That’s not the only clever way the glass building regulates its temperature. All areas around the perimeter of the building are fitted with automatic blinds controlled by sky scanners. 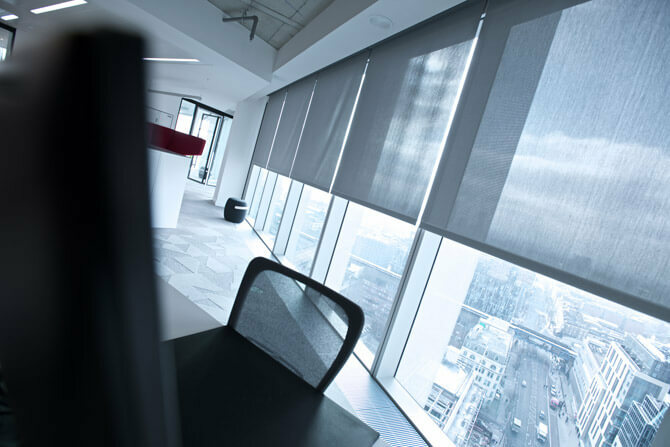 Sensors outside the building take readings as the sun and clouds move across the sky and trigger the blinds to open or close, providing the right amount of light and limiting the glare. 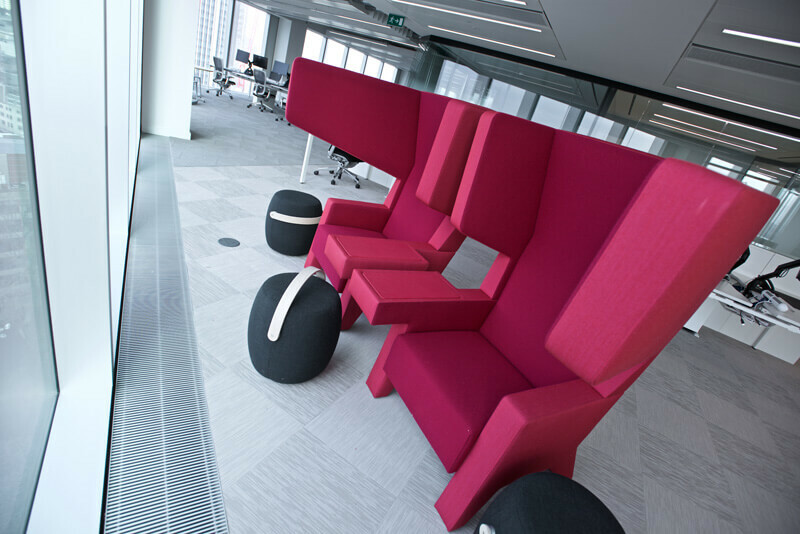 It can be hard to find quiet spaces in open-plan offices but 240 Blackfriars Road has these, too. 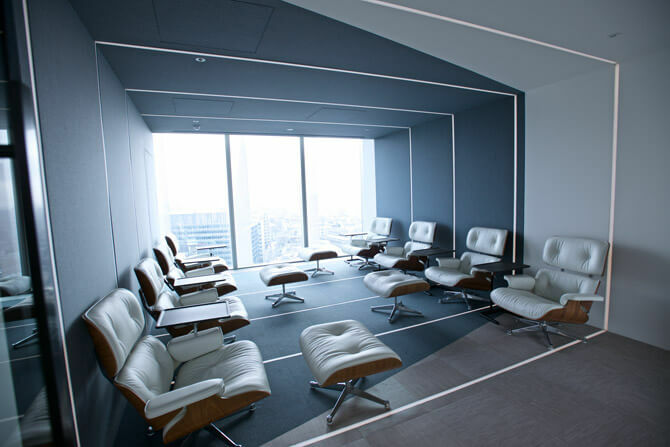 Called ‘shush rooms’, they use more acoustic panelling to provide contemplative space. They are located in the same place on every floor but each one has a different design and its own identity. 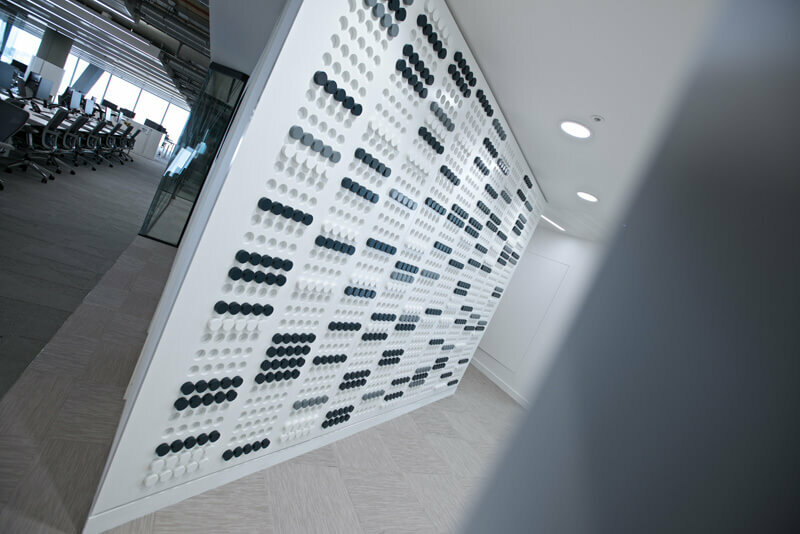 Even the walls at 240 Blackfriars Road are inspiring. There are ‘event walls’ in the lobby areas – each one individually designed to give each floor its own personality. And on the top floor, there are two living walls sown with small creeping plants. 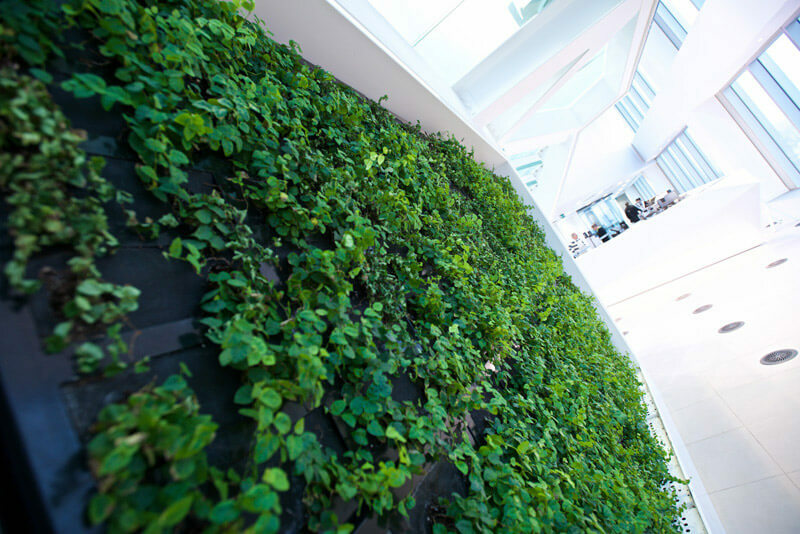 Much more than a stylish addition to the design, the plants help oxygenate the room while improving the acoustic quality of the space. Combine all this with clever lighting, funky furniture and ingenious innovation, and you’ve got brains and beauty in one perfect package. 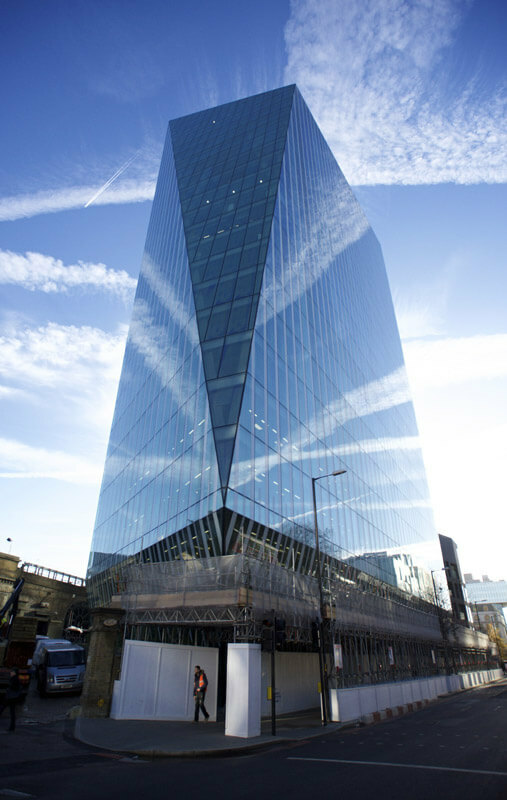 240 Blackfriars Road, London is an architecturally striking addition to London’s skyline. The angular, mirrored building cuts a distinctive figure on the Southbank and has been hailed for its quality construction and sustainability credentials, not to mention those amazing river views. 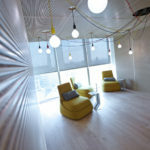 But it’s only when you go inside and use the building that you’ll find out how technology has been harnessed to create an office space that’s stylish, sustainable and most of all, very smart. 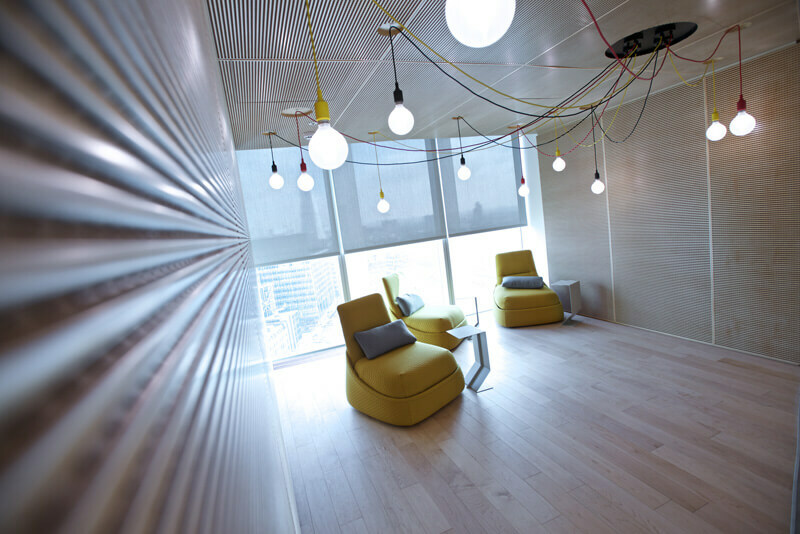 Swift was the main contractor for the fit-out of floors 11-19, offices leased by multinational media company, UBM. UBM is a company that can have a lot of visitors and, consequently, a lot of traffic through the reception area. Entry to the building is by smartcard, all of which have to be issued individually. Before the move to Blackfriars Road, this visitor traffic was causing queues and hold-ups as people waited to be signed in to the building and it was proving a drain on resources. Not anymore. 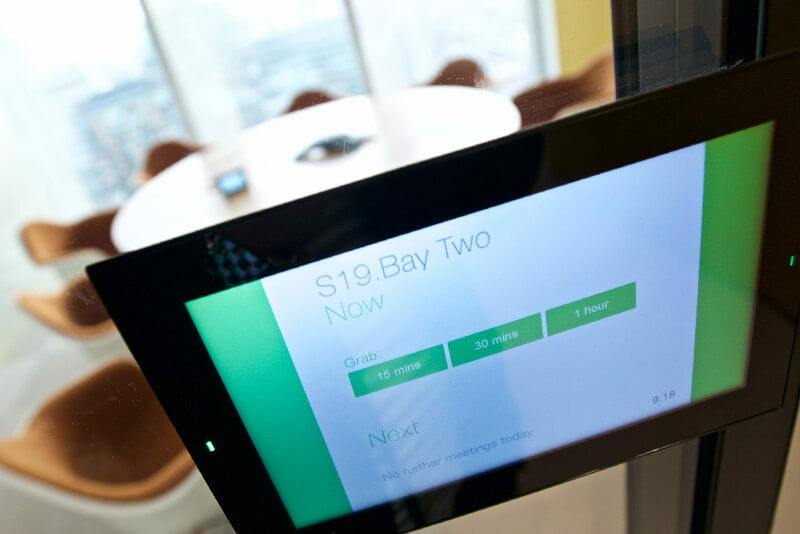 Now, the addition of a virtual reception means that staff who have mislaid their entry passes or visitors attending prebooked meetings can now sidestep the queues. 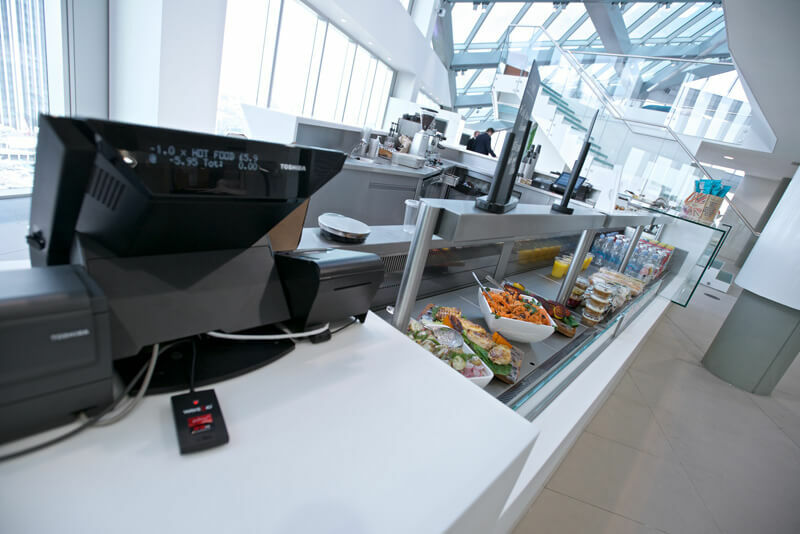 A series of self-service booths are fitted with tablets – once you tap in your email and acknowledge the advisory notes, a temporary smartcard pass will be printed for you and your host will be texted or emailed to notify them of your arrival. Your new smartcard will give you access through the entrance barrier and pre-call a lift to your designated floor where your host will be waiting to meet you. 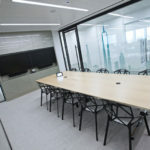 The room-booking system integrates seamlessly with the audio visual and building management systems so that a few minutes before a meeting is due to start, the booking system will warm up any equipment needed so lights, heating or air-conditioning and audio-visual aids will be ready the instant the meeting starts. And a few minutes after the meeting is over everything will shut down again if not required. Once in the meeting, full environmental controls are passed to the room regulators which also operate the video conferencing and wireless presentation. 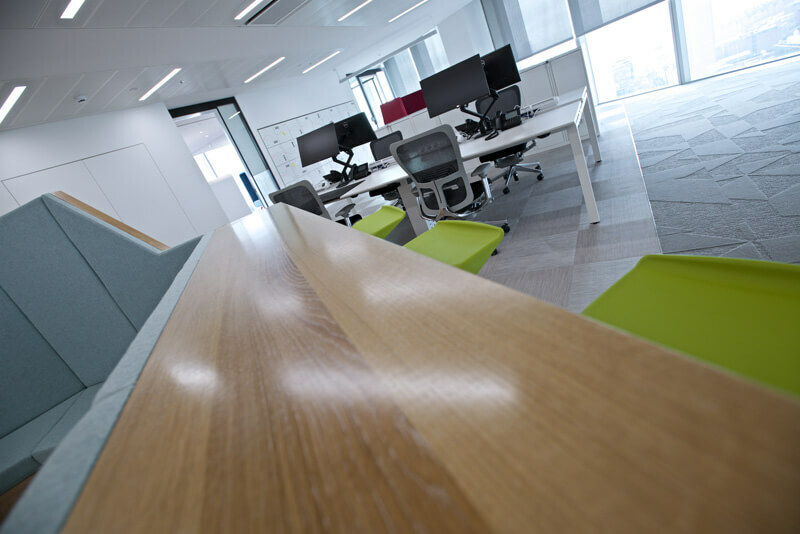 UBM were keen to adopt agile working practices, so staff go to their designated floor where a map of the floorplan lets them choose a desk then scan their card. Then – and only then – will the desktop power be switched on in the chosen location. when you leave the desk, the power will turn itself off. 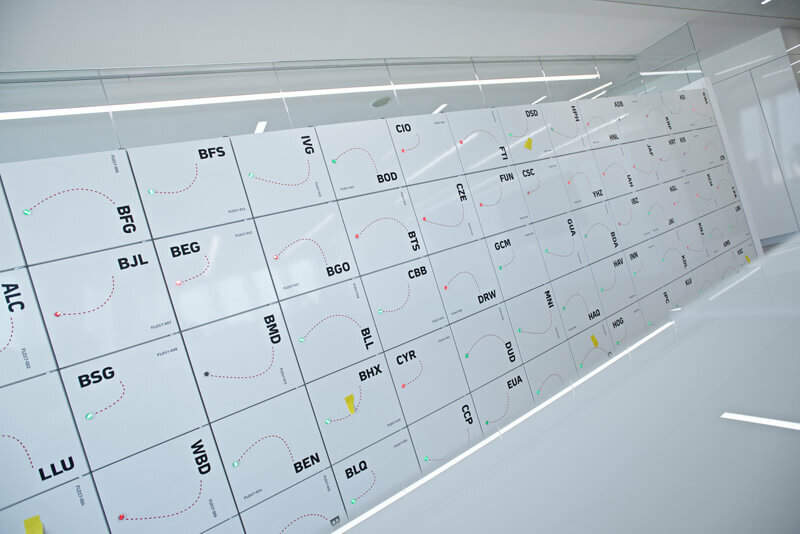 Clever technology that helps the company keep track of its staff and visitors while making the most efficient use of both energy and space. 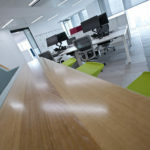 Hot lockers across each floor mean that belongings can be kept safe and close to the chosen desk, again using the building’s smartcard and ‘follow-me printing’ means that the centralised printing stations release the printed media only when the user’s smartcard is presented. The new staff restaurant uses the smartcard for cashless vending to buy drinks, hot and cold food and daily specials by holding credit, topped up using a secure third-party website. 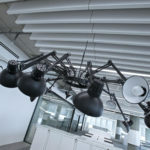 For a media company like UBM, audio-visual technology is not just important, it’s vital. And the new building allows staff to make best use of the latest cutting-edge technology. Dotted throughout the building are flexible meeting spaces with 84” LCD touch screen smart boards that can be driven from laptops, tablets and even fingers. They have proved an excellent way for teams to brainstorm and share information. “It’s been great to work on such a high-tech project where the level of user technology is unprecedented,” said David. 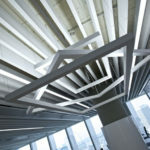 “It’s been a challenge to ensure that all the technologies in the building can talk to each other and work together for the good of the building and its occupants. 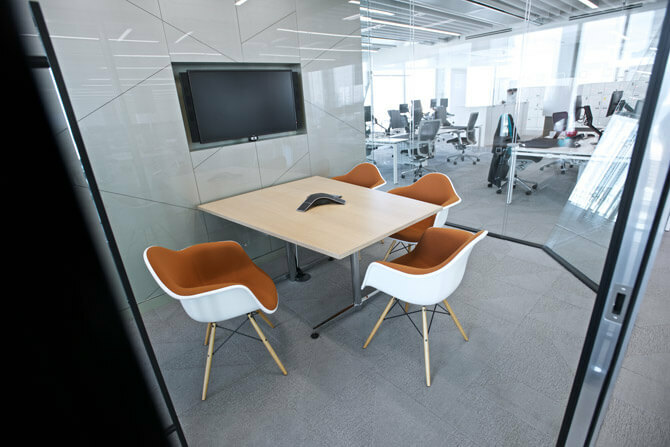 The end result is a superb office that marries style and usability to best effect.” Proof that where technology is concerned, for Swift the sky’s the limit.